Monument Valley is one of the most beautiful iPhone games out there, but its newest expansion has fans up in arms. The issue isn’t with the quality of the game, according to Touch Arcade, but with the game’s new expansion, which costs $US1.99. 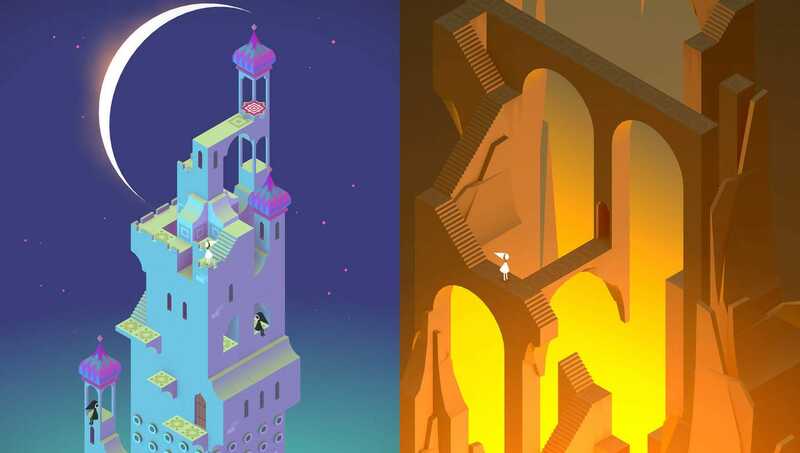 Monument Valley, which won an Apple Design Award this year, has you responsible for guiding the lost Princess Ida through a gorgeous environment of winding structures filled with impossible geometry and hidden passageways. The game has received mostly five-star reviews, but Monument Valley fans started freaking out when they discovered the game’s expansion, “Forgotten Shores,” which offers eight new chapters, costs $US1.99, even though the expansion almost doubles the size of the game. Angry fans have now began flooding the App Store with one-star reviews. This doesn’t really make sense considering that Monument Valley never promised the expansion would be free, and the new chapters are still half as expensive as the game itself, which costs $US3.99. The creators of Monument Valley, ustwo games, took to Twitter to discuss the odd behaviour, which was then picked up by Touch Arcade and Daring Fireball’s John Gruber. Seems quite a few people have gone back and 1 star reviewed Monument Valley upon update because the expansion was paid. This makes us sad. The most confusing part of all of this is the double standard expected by Monument Valley’s fans. Monument Valley isn’t free-to-play, so it doesn’t offer microtransactions or other pay-to-win features that can annoy players. Instead, Monument Valley relies on sales from its game, which it sells for $US3.99, and sales from its first expansion, which costs $US1.99. The double standard comes into play when users expect the game to be free, offer no microtransactions, and release expansions free of charge. Unless Monument Valley inserted ads into their game or sold customer data, there would be no way for the game’s creators to make any money. Luckily, the added exposure appears to be slowly turning things around, with Monument Valley fans rallying and adding their own positive reviews. Thanks for the kind words of those who’ve supported us, you guys are the best. Strange how chalk and cheese the opinions have been. You can purchase Monument Valley over at the App Store, or watch a trailer for its new “Forgotten Shores” expansion below.